The proportion of meat and rice and veggies was almost as perfect as it could get for it to be a perfectly balanced meal! I guess every cuisine, especially the Eastern world cuisines, have these one pot meals. 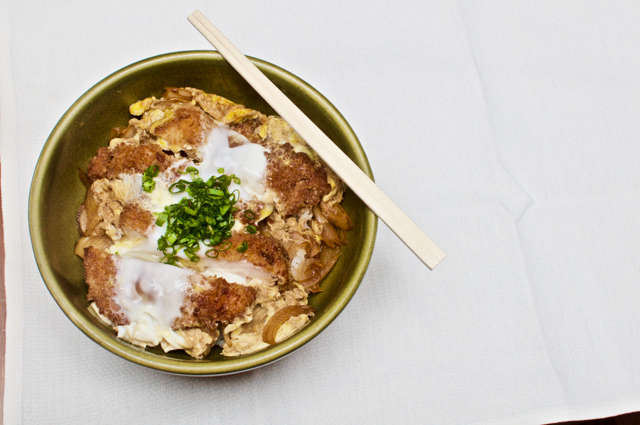 While most of them are soup based, donburi is entirely dry! Since Japan already has the Ramen bowl filled with rice, noodles and loads of veggies, it is quite amazing that they have a dry version of it with rice! And its got a nickname, DON. Three of us. Three non veg donburi on the menu! How convenient!?! A chicken, a beef and a seafood wala! The Chicken Katsu. Cabbage on a base of rice topped with three super large pieces of Chicken Katsu. The katsu is like supreme cuts of chicken, crumb fried! Quite hearty and we were all able to take a helping each. The next dish was the best and since one of us in the party didn't eat beef, the two of us were lucky since it was one person less to share with! 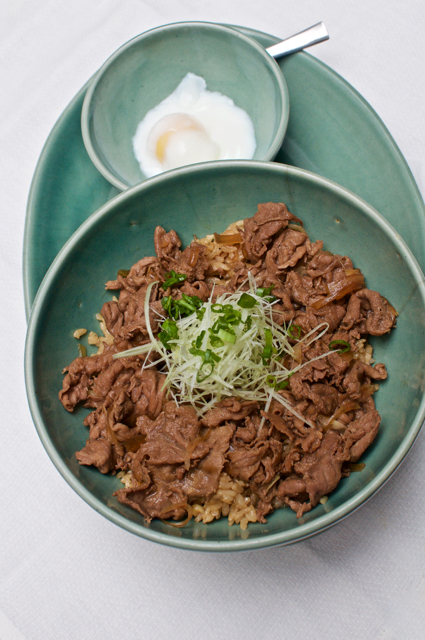 ;-) Sliced beef on a base of rice and cabbage with a side serving of a poached egg. The egg wasn't runny and I don't know if it is supposed to be, but the beef was super yummy and quite soft and the rice with its garlic overtones was yummy! Both the above were priced about Rs. 790. Our friend's seafood donburi was the most meaty (and the most pricy at Rs. 1090). 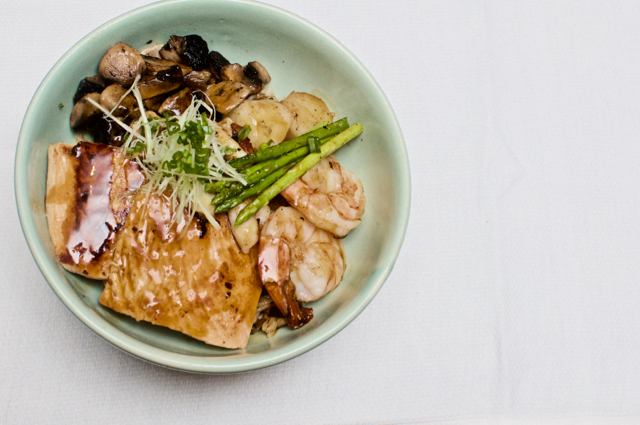 It had salmon, scallops, squid, prawns, some mushrooms, asparagus and cabbage on the same garlic-y fried rice! Personally, I don't like salmon in any other form than smoked, so I didn't like the fish part of the donburi, but the rest was all yum! They ran out of dessert, so we didn't get our sweet fix. Had to get some Tiramisu at Focaccia for the sweet fix! Though called YAKINIKU, the restaurant menu also has some sushi, sashimi, soups and other Japanese stuff, so though the menu is limited, it does cover a lot of basics of Japanese cuisine. I believe they should make the donburi as part of their regular menu, because the three we ate were all super value for money considering it is a 5 star property! Yakiniku charges a 5% service charge on your bill! The festival is on till the 20th of November. YAKINIKU is the restaurant that started off as a pop up and then became a full fledged, albeit small restaurant at Hyatt Regency Chennai!